Israel has crossed the threshold of 2 million visitor arrivals by the end of June for the first time, this year. There was an increase of 73% in entries via Ovdah (63 thousand) and in the first half of the year, there was an increase of 19% in overall tourist entries compared to the same period last year. In June alone, 310,200 tourists entered the Holy Land – an increase of about 2% compared with June of last year. 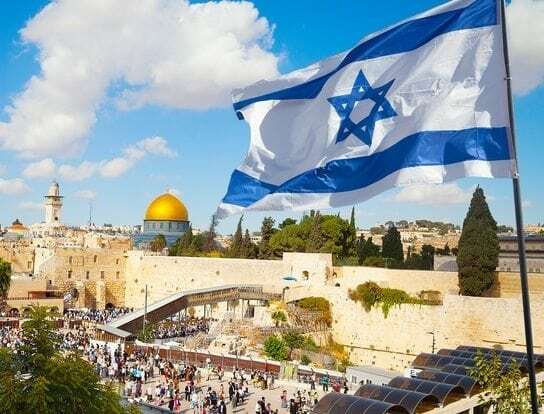 Tourism in Israel is one of the country’s major sources of income, with a record 3.6 million tourist arrivals in 2017, and 25 percent growth since 2016 and contributed NIS 20 billion to the Israeli economy making it an all-time record. In 2009, the two most visited sites were the Western Wall and the grave of Rabbi Shimon bar Yochai; the most popular paid tourist attraction is Masada. The most visited city is Jerusalem and the most visited site was the Western Wall. The largest percentage of tourists come from the United States accounting for 19% of all tourists, followed by Russia, France, (Germany), the United Kingdom, China, Italy, Poland, and Canada. Israel has achieved 18th place in a global tourism rang “The Tourism Rank” in 2017.